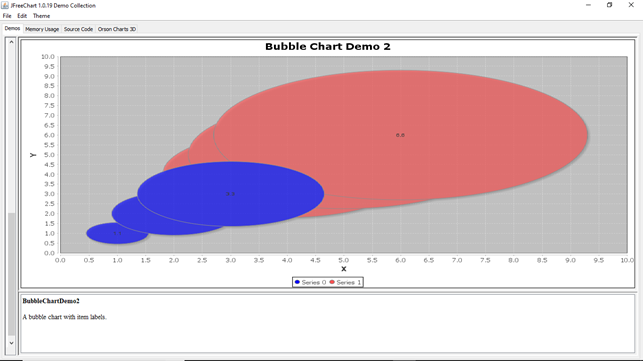 A bubble chart represents information in a three-dimensional manner. 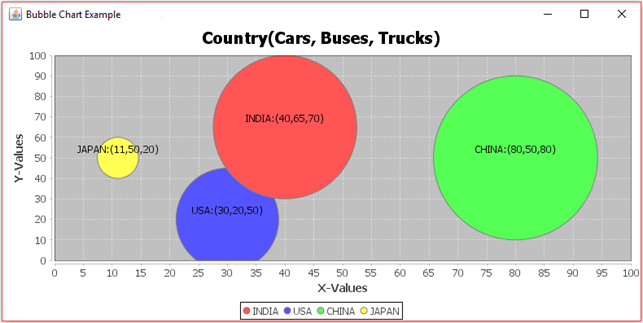 This chart is a variation of a scatter chart(XY chart) in which the data points are replaced by bubbles, and an additional dimension (z-values) of the data is represented in the size of the bubbles. 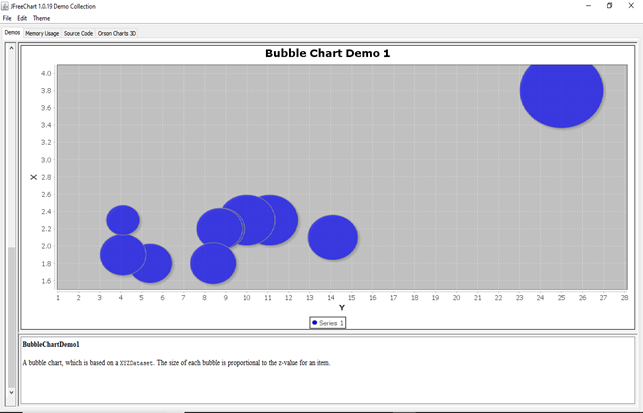 Let us consider the following sample data for a bubble chart.